I’ve worked at summer camps as a young adult, so I know just how difficult it is to organize a group of children to embark on a week of fun and educational outdoor experiences. I can only imagine how much more complicated that becomes when catering to children with cancer. That’s the mission of Camp Quality, a charity that runs six overnight camps in Ontario, Manitoba, and Alberta for children ages four through 18 who have cancer. They bring together 450 volunteers to staff the camps, teaching the traditional summer camp skills like swimming, canoeing, orienteering, and also to provide the medical expertise required to support these children as they go about their day. It often involves a cocktail of different medications, delivered at different times of throughout the day. Camp Quality needs help delivering those medications as effectively as possible. It needs an app that camp nurses can use to track which campers get what drug at what time of the day. It needs developers to code that solution, but it can’t afford to pay them for it. 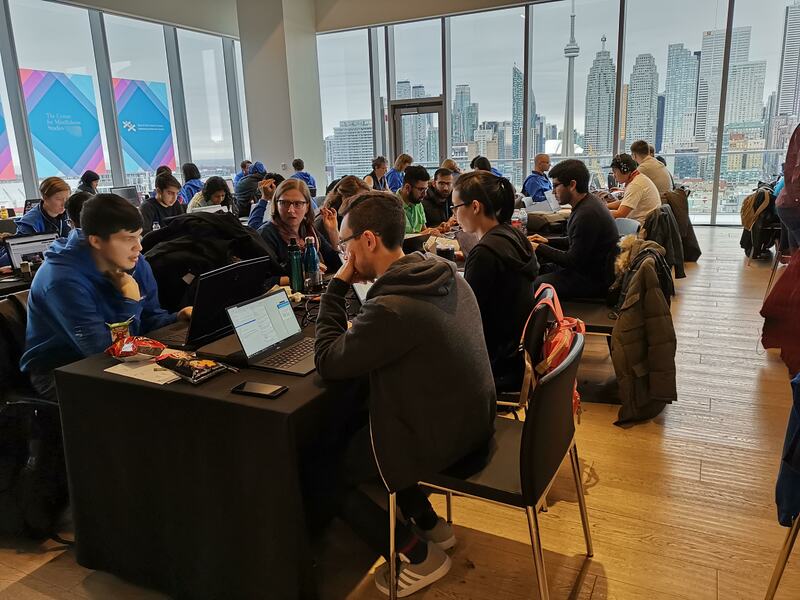 So this past weekend, it turned to Capital One’s Gift the Code hackathon event in Toronto, where I played the role of a judge. Gift the Code is in its third year running, originally conceived by John Cavan, director of software engineering at Capital One Canada. The bank supports the effort by providing its own employees to help run the hackathon, get charities involved, and is this year providing $100,000 of funding to help charities implement the solutions that came out of the weekend. The event has grown in size each year, now hosting more than 200 participants. The developer teams of various sizes work all weekend on solving the problems put forward by charities, many of them opting to sleep on the couches instead of wasting time to go home and return. They’re fed a constant supply of snacks and coffee all weekend, and the end result is a bevy of coded solutions or concepts that are all released open source. It’s similar to many other hackathons that have become popular conventions for companies of all shapes and sizes to generate innovation. The difference with this one, Cavan says, is that they’re giving all the solutions away for a good cause. Capital One ran an online survey of 500 Canadians working for charities and non-profits in March with LegerWeb. Half of respondents said they are not able to keep up with today’s tech-driven society. Two-thirds believe their mission is being held back as a result of that tech gap. 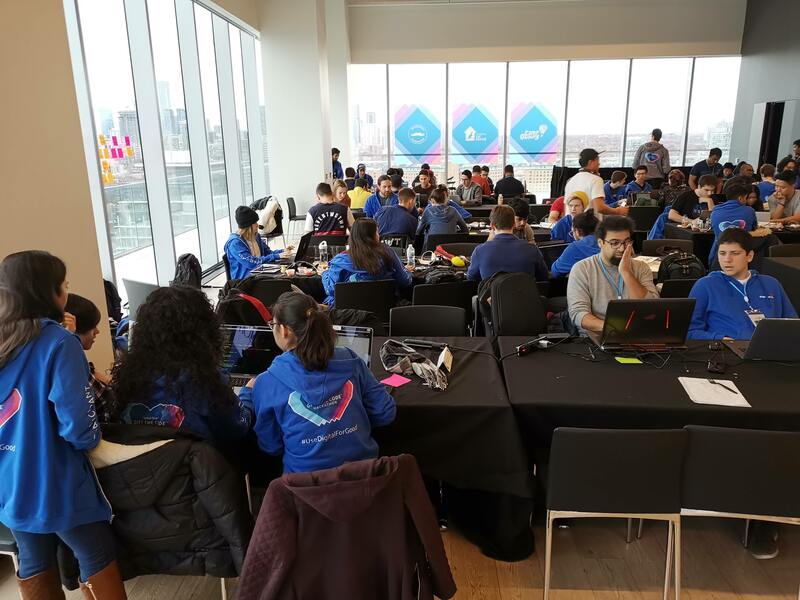 Capital One’s own internal social responsibility team worked with HackWorks to assist in organizing and running the hackathon. Internal “charity champions” help the charities provide problems that are suitable to solve with the help of some developer skills. As I considered the entries alongside Cavan, I was impressed with each of their entries. Selecting the winning team wasn’t easy and the final scores were very close. Impressed by the caliber of the solutions put forward with just one weekend’s work, I asked Cavan if past collaborations between charities and hackathon participants lead to solid results. He pointed to the example of Blake Boultbee, a Toronto-based charity providing comprehensive services to high-risk youth and their families. All because a team of developers decided to volunteer their time and energy towards a charity hackathon one weekend, one charity is reaching more people that it can help. I hope Camp Quality can also benefit the children in its care with the developer’s hard work. Because every kid deserves a chance to go to camp.